KUL law students have won a national round of the 50. 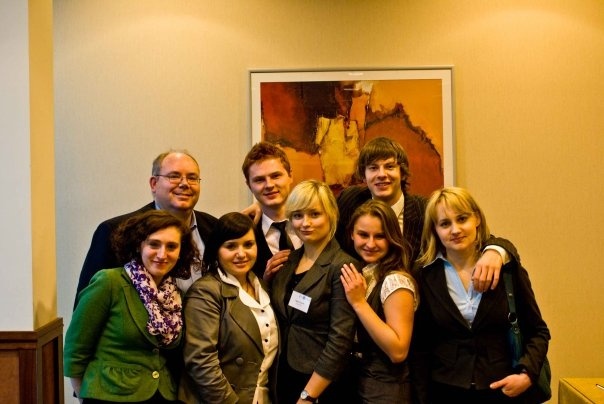 Philip C. Jessup International Law Moot Court Competition, that was held between 25 and 27 of February in Warsaw. Our Team: Agata Apanel, Paulina Kreczmańska, Filip Badziak and Bartosz Łągiewka has defeated in the Final round students from Warsaw University and will be representing Poland during the International Round organized in Washington D.C. in the end of March. KUL team's coaches were: Prof. Delaine Swenson and Marzena Rzeszót representing Center for Advancing Legal Skills, assisted by Dr Anna Szarek and Kinga Stasiak from the Chair of International Public Law. Our students have collected all the prizes: Best Team, Best Memorial and Best Oralist (Agata Apanel). During the qualification rounds our team has been undefeated and has beaten Warsaw University, Nicolas Copernic University from Toruń, Silesian University, University of Wrocław and Cardinal Stephan Wyszynski University from Warsaw. Congratulations and good luck in Washington! In April the Team traveled to Washington D.C, in a trip sponsored by the White & Case (Global Jessup Partner). In Washington the team defeated teams from Kazakhstan and Russia and were later defeated by Vanderbuilt University of the United States and the University of Buenos Aires in Argentina.